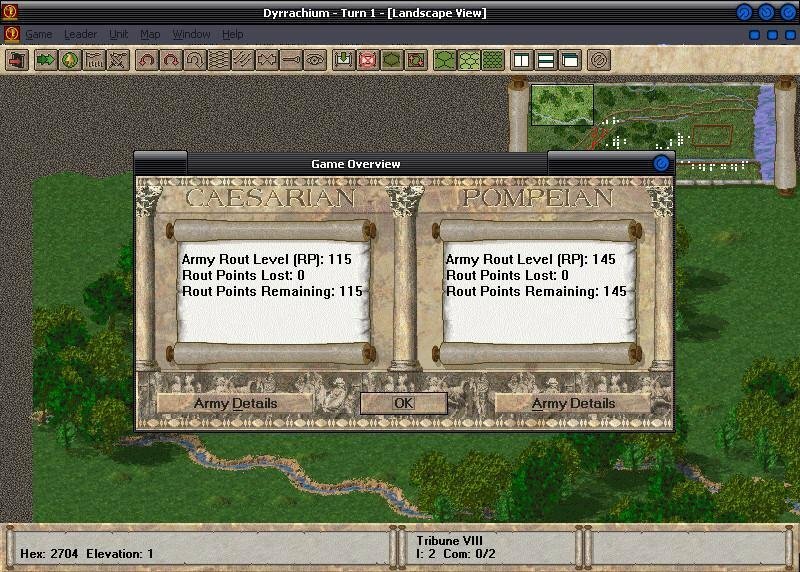 Great Battles of Caesar is a turn-based tactical wargame based on the popular “ancients” board game system designed by Mark Herman and Richard Berg. In the game each unit represents 500-man cohorts (or the like), each hex 60-70 yards, and each turn 15-20 minutes of real time. 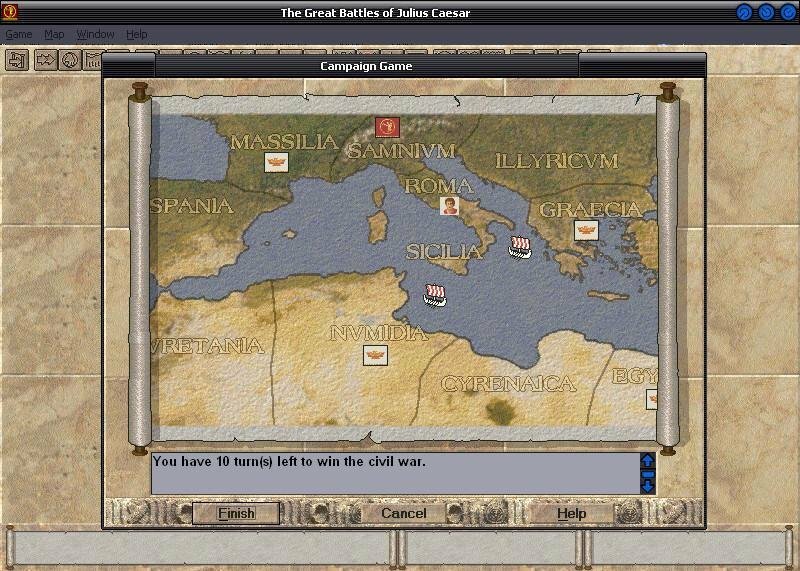 It features nine of the battles fought during the period of the Roman civil war and includes a campaign game (of sorts). 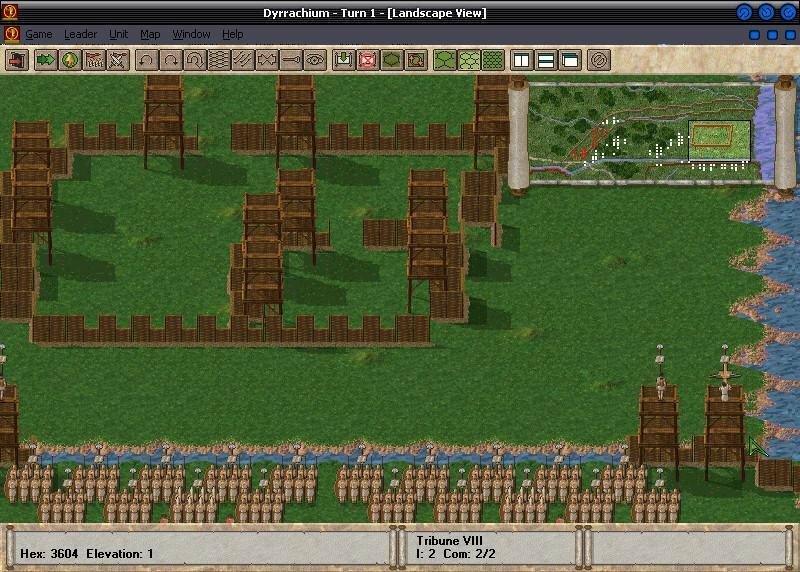 You can play against the computer; however, it also serves up the usual multiplayer options. 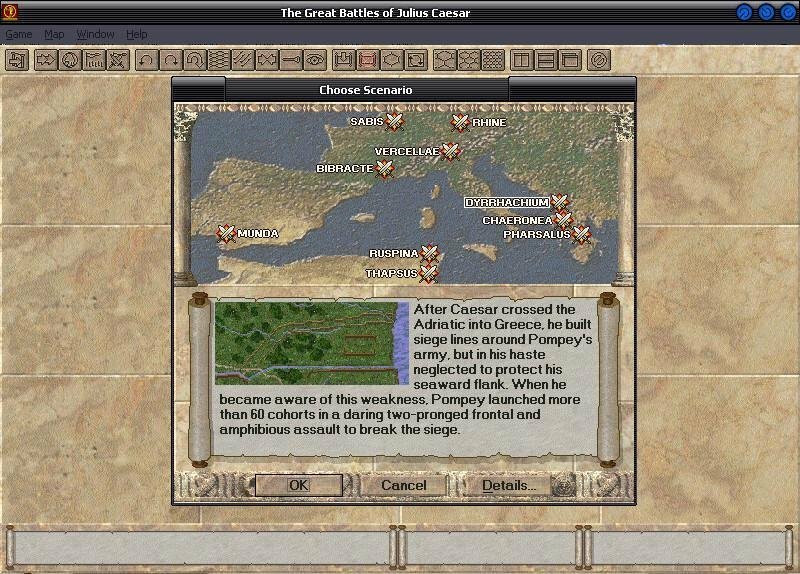 Although it is a turn-based game, Caesar relies on a leader’s initiative, modified by a die roll. This determines when each Legion (or group, division) marches, flings spears, and swings swords. 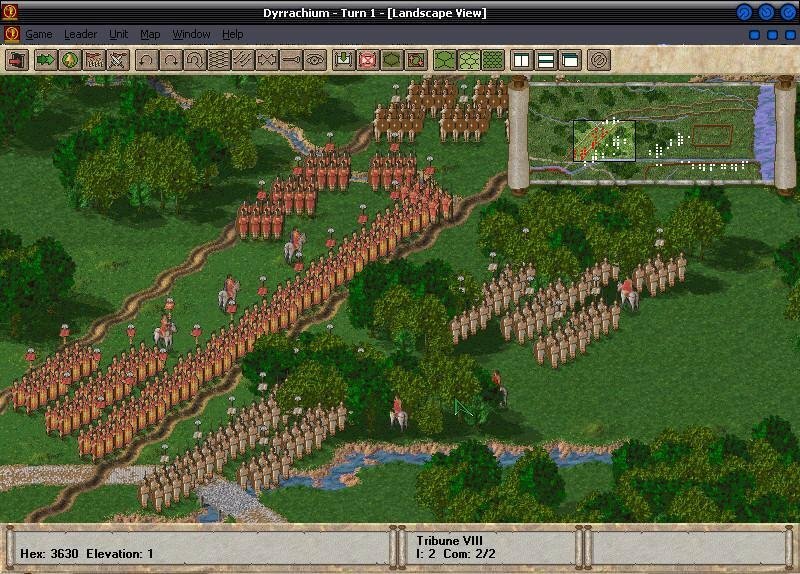 Since each army has numerous Legions, the turns are jumbled into a delightful fluidity that leaves precise planning in the dust. 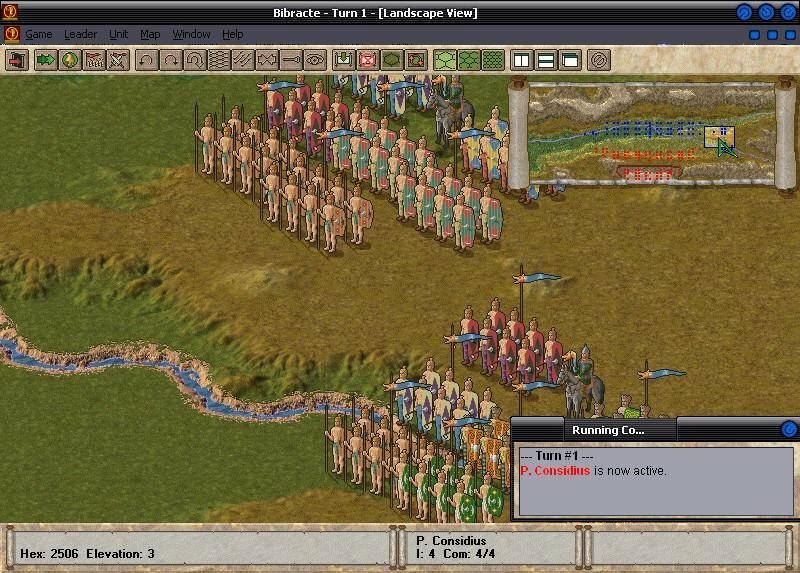 To throw fuel on the already uncertain fire each leader, along with his attendant troops, has a chance, based on his initiative, of gaining rounds during the course of each game turn. The result is a tense game rife with uncertainty always looming. 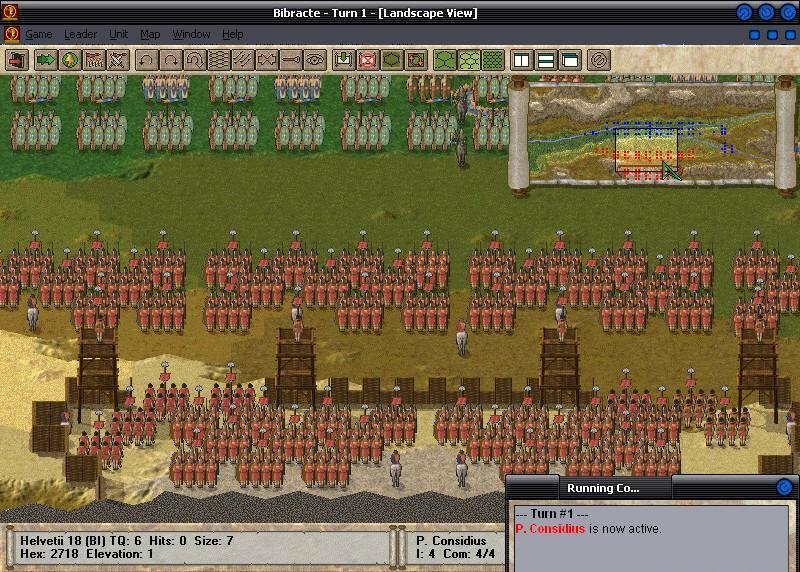 Some units withstand the stress of combat better than others, and learning which unit is best for a job is an intriguing challenge. You see, Caesar’s horn of plenty is stuffed with staunch veteran cohorts, amorphous skirmishers, stampeding elephant troops, barbaric cavalry, and Greek phalanxes. In typical paper/rock/scissors fashion, each unit has strengths to apply and weaknesses to cover. In general, the units look as good as they fight. Each cohort or squadron is imaginatively detailed: Caesar’s Legion’s have dark horsehair crests on their helmets and red tunics, while Belgian Nervii tribesman, on the other hand, fight bare-chested. Nevertheless, the engine is far from perfect. The soldiers often look like cardboard cutouts and it’s difficult to discern elevation changes. 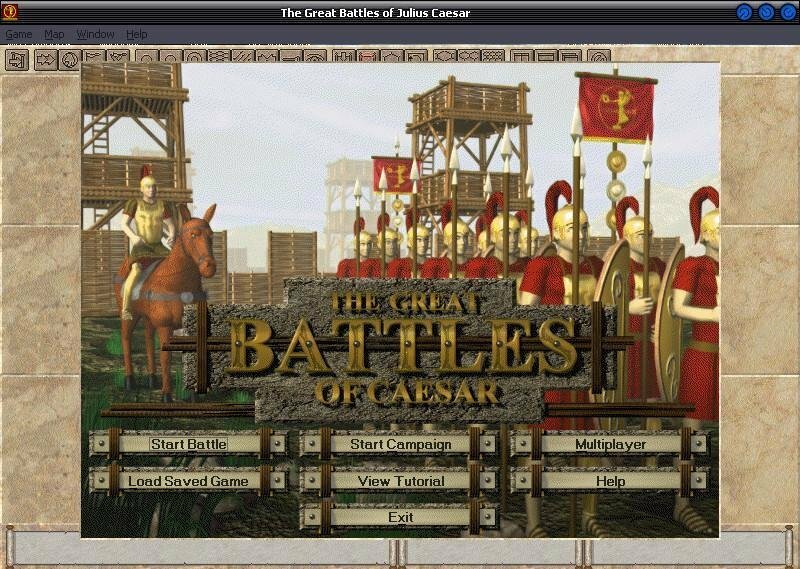 Worst of all, the game is slow, and after playing Age of Empires, Caesar’s 2D swordsmen and sluggish gameplay are a disappointment.